The AMD FirePro™ 2270 comes with support for a variety of connectivity options, including DVI, VGA and DisplayPort. The 2250 and the 2270 boards both measure 6.6" x 2.3. 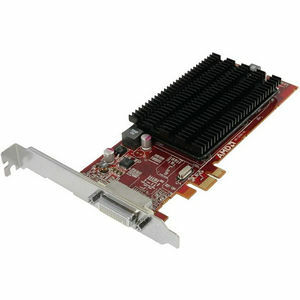 The FirePro™ 2270 GPU features 512 MB of DDR3 memory, 15 W of maximum power, and a PCIe 2.1 bus. AMD FirePro™ 2270 includes support for OpenGL 4.1, Direct X 11. AMD wants to be a leader in the market by always looking for best performance at every segment -- high, low, and mid-range -- and we're also trying to be the best price performer in the market.